Luna karatasi la kupamba ukuta. i upendo this picture its my wallpaper, shockerrrr but sereiously how awesome does she look? :). HD Wallpaper and background images in the Princess Luna club tagged: pony my little princess friendship magic is. 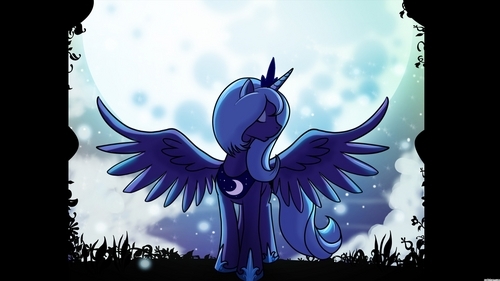 This Princess Luna wallpaper might contain anime, comic kitabu, manga, cartoon, and mkono.